September 26, 1983, I was a sophomore, which meant that the day probably passed in a blur for me. I had a routine: coffee and donuts at the snackery in the student union, then to the computer terminal room to check my email. I went everywhere by bicycle, then, and had perfected a one-pedal mount, with my hip against the top-tube and no hands on the handlebars. I usually had my nose in a book as I rode. Everyone ignored me and I ignored everyone except for a small handful of friends. That was how my days passed: playing Empire on the pdp-11, sending email, writing code, doing crafts (at that time, mostly making chainmail armor) and watching matinees at the art theater, The Charles, a few minutes south in what would later be my neighborhood. What did not happen: the sun did not rise in the west. I did not burst into flame from the radiant heat. The glass from parked cars and shattered windows did not flense me at speeds up to 50mph. The cloud of burning did not rise over Washington to the west like a miles-wide thor’s hammer. Nothing burned. The world did not end. None of us knew. I probably slept well that night. Some time that day (we are not sure when, it might have been dark in Baltimore) in Oko* the soviet ballistic missile monitoring center – their equivalent of our NORAD – Stanislav Petrov cleared an alert indicating 5 inbound US ballistic missiles. Petrov didn’t think it was a particularly big deal, it later turned out to be a reflection into the sensors of a surveillance satellite. If he had reported it, his superiors might have ordered a counter-strike, and my – and everyone else’s – day would have been irrevocably changed. When I say “everyone’s day” I’m not exaggerating. 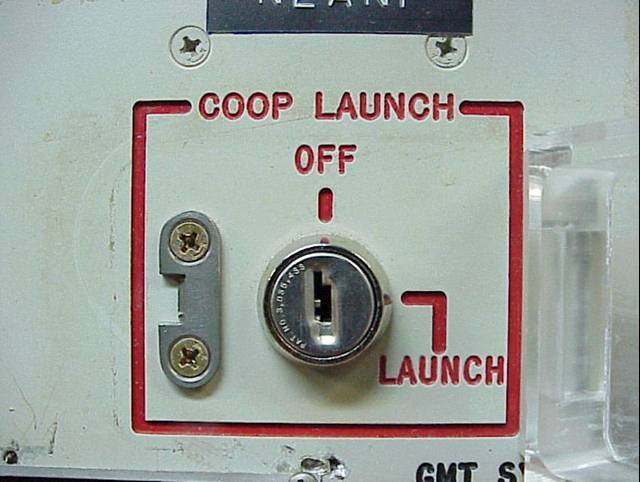 It’s hard to learn the details about targeting doctrines and what was in place and when but at various times the monsters who designed the US’ nuclear war strategy also targeted China for destruction, because it simply would not do for the US and USSR to obliterate each other and leave China in charge. Take a second, look away from your computer, defocus your eyes or look out the window, and think about that. Think about Petrov. He says it wasn’t a big decision and, at various times he was praised for it, and at others criticized. The demons still lurk, ready to go. Nobel Peace Prize winner Barack Obama appears to be ready to commit about a trillion dollars of US taxpayer’s money to a “nuclear refresh” which will mean more demons in caves and under oceans, more hypocrisy as the US – which has proliferated nuclear bombs outright to politically unstable allies like Turkey – wags its finger at North Korea for building one or two. Whoever is US president next will almost certainly proceed with the new weapons. To make the world safe for power-hungry assholes. I sat in a restaurant in New York, for example, and I looked out at the buildings and I began to think, you know, about how much the radius of the Hiroshima bomb damage was and so forth… How far from here was 34th street?… All those buildings, all smashed — and so on. And I would go along and I would see people building a bridge, or they’d be making a new road, and I thought, they’re crazy, they just don’t understand, they don’t understand. Why are they making new things? It’s so useless. What Feynman missed is that there are ordinary people. Non-monster people. Non-totalitarians. People who do not let following orders turn them into automata. People like Stanislav Petrov. Petrov says it wasn’t a big decision and he doesn’t talk about it much. 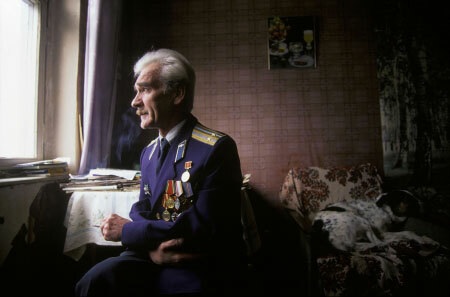 Stanislav Petrov saved me from being born in a post-nuclear-holocaust world. It may have been a small decision, but it had big consequences. But yeah your life would have sucked. I wouldn’t have had to worry about that. I obviously have no idea if Saskatoon would have been a Soviet target in 1983. But it might not have mattered much, depending on which way the winds where blowing. Canadian Forces Base Moose Jaw, a couple hundred kilometers to the south, would presumably have been a target, despite being a training base and not housing combat aircraft. More importantly was that a large chunk of the US ICBM fleet, then as now, is located in North Dakota and Montana, and the B52 fleet flies out of Minot AFB. You can bet those targets would have received multiple warheads. Saskatoon would probably have enjoyed record cold temperatures from nuclear winter. North Dakota is where SAC is, the area’d be flattened with silo-busters. The Canadian bases would probably be targets as well – though Canada doesn’t make a huge deal out it, they were one of the first countries the US proliferated nuclear weapons tech to. Nobody’d have been safe on that day. Petrov saved us all by thinking in a Russian way: “normal” (that is: these things tend to malfunction) on that Monday. In September 1983 I was a third-grader in Lahti, Finland 280 km from the nearest IMHO certain ground zero which would have been Leningrad. The Paldiski naval port in Estonian Soviet Republic of the USSR was 200 km from Lahti, but would Americans have nuked it? The US has such overkill that they probably would have hit anything that could harbor a ship. But, no matter whether you’d died in the first exchange or “merely” had to live in a post-apocalyptic world, your world would have changed irrevocably and dramatically for the worse. I remember the survivalists of the day; I used to know someone who I seriously think would have been enthused by a “Mad Max” scenario. I was 12 at the time. My parents were active in the Freeze movement, and my father, a university professor and research ecologist, was teaching a course of his own design called the Ecological Consequences of Nuclear War. The Day After was filmed in my hometown and nearby. You could see an Army Ammunition Plant from my bedroom window. I lived within a couple hundred miles of dozens of Titan II silos. Suffice it to say, I was not an optimistic kid. The Day After was a pretty important movie; it had a huge impact. Within a few hundred miles of the silos you wouldn’t have been in the blast radius; you’d have gotten to die a slow death from the fallout. Not optimistic is the right way to be. I’m amazed that today’s kids don’t seem to think about the nukes at all. I guess it’s good – and I hope it doesn’t turn out to be a horrible surprise for them. About Paldiski: It was according to Wikipedia the biggest training center for the Soviet nuclear submarine fleet and there were two land-based nuclear reactors there. Definitely a target and the fallout would have been big. I guess the subs would have tried to move as far as possible, somewhere towards the main basin of the Baltic sea, as deep as possible.